It's amazing how ye olde ego can sneak up on you. I have, of late, had a bit of a drummer's resurgence. I have been a drummer since the age of fifteen. I have been in a working band since the age of twenty-ish. I have always enjoyed going out to play drums. 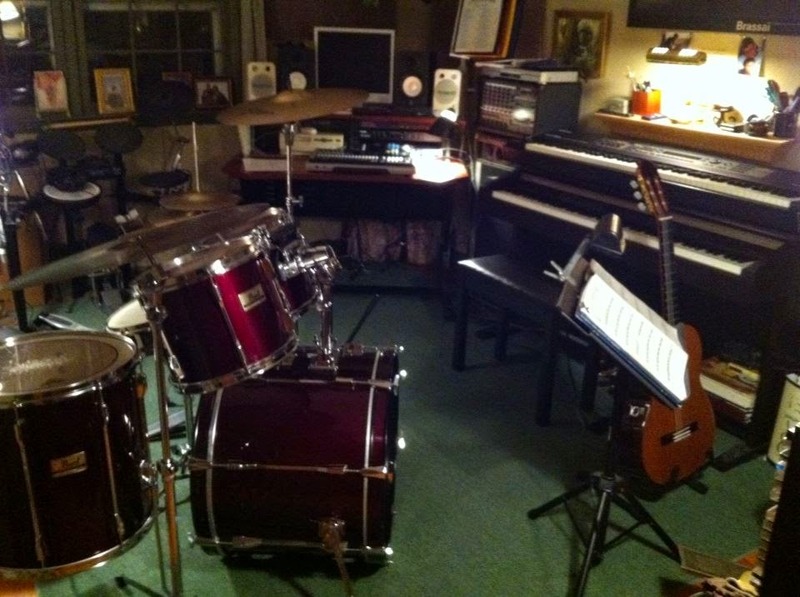 But, somewhere between the ages of, say, thirty-ish and forty-ish, I started to put my songwriting and composition first and I started seeing drums as a small part of the big puzzle. 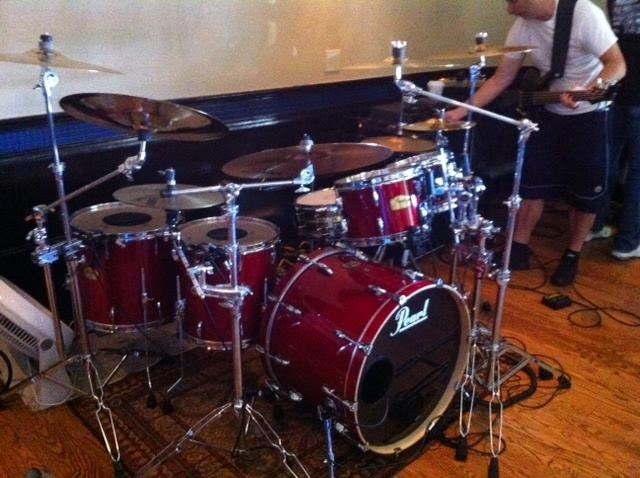 The new drums, on a gig. ...the other day, I tried something: playing patterns over a steady 3/4 (waltz) rhythm. (Inspired by Max Roach's "The Drum Also Waltzes", but with a slightly more complicated foot pattern.) Anyway, whatever level your musical knowledge is, let it suffice to say that doing this is more difficult than it sounds and, most importantly for this piece, much more difficult than I thought it would be. I tried it a few times and just quit. Just stopped and moved onto something simpler. Today, driving in the car, it occurred to me why that was. I wasn't conscious of it, but I was saving face. The old kit, home sweet home. I'm a pro-level player. I'm not supposed to sound bad. And since when you practice your drums, everyone from your family to your neighbors knows it, some subconscious part of me was paranoid. I mean...my kids could hear me up there. What would they think if I was stumbling and kerplunking my way through a pattern? I was quitting because I was embarrassed to be heard playing badly, whether I knew it or not. Stupid. I'm going back to it this weekend. No more dumbness. You should, indeed. And, of course, the better one gets, the harder it is to keep getting better...so it's to be expected!